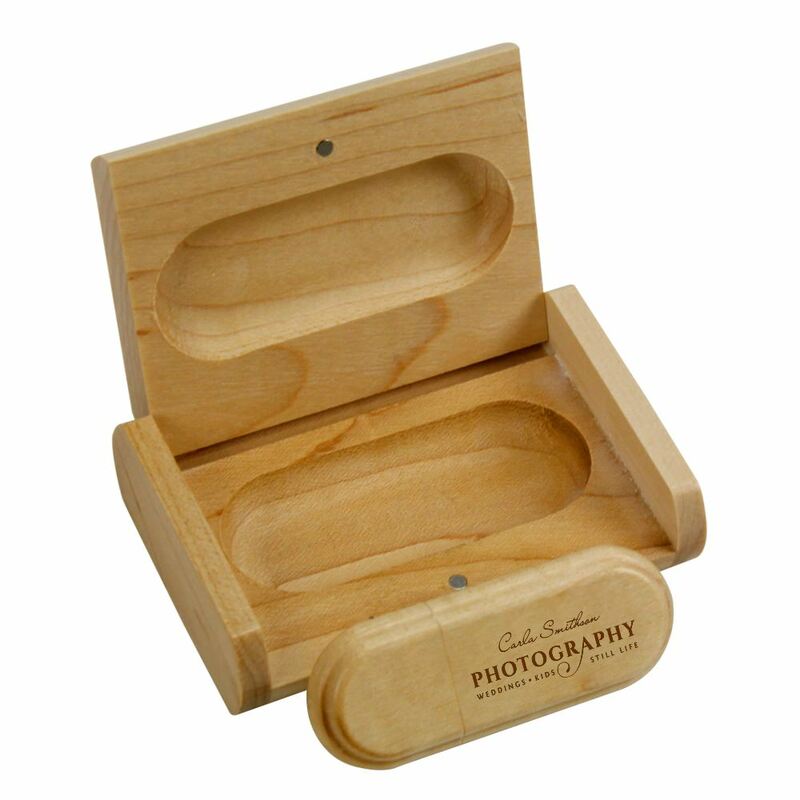 Make a great first impression with the handsome Keepsake USB Presentation Box for wedding and portrait photographers! 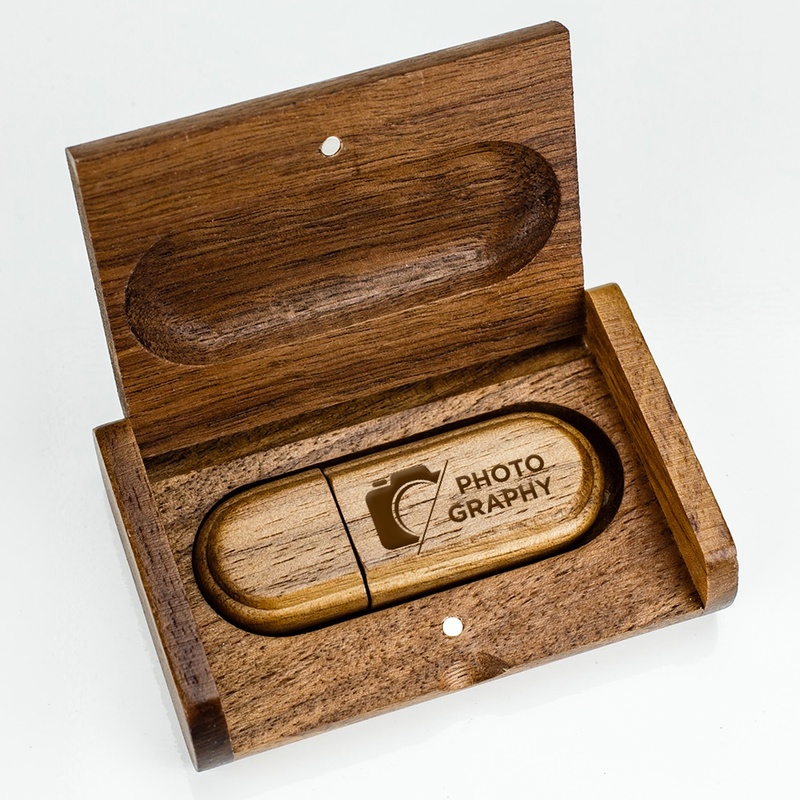 Each one of these custom USB flash drives is designed to be a perfect little gift for clients. 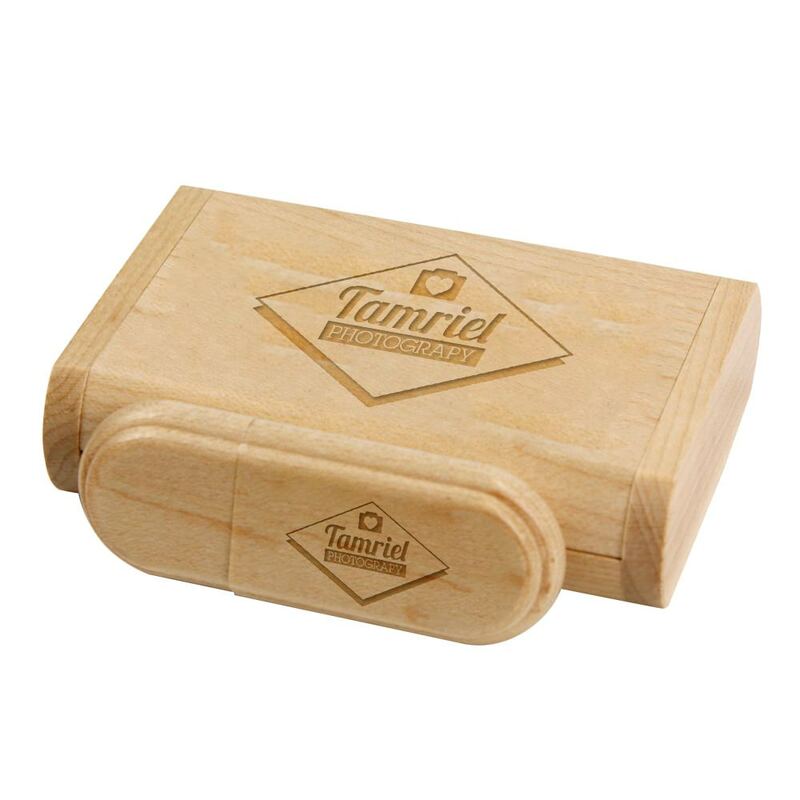 They’re beautiful to behold, made out of smooth, natural wood. The drive and the box can be custom printed or engraved, making this an incredible gift for your clients. 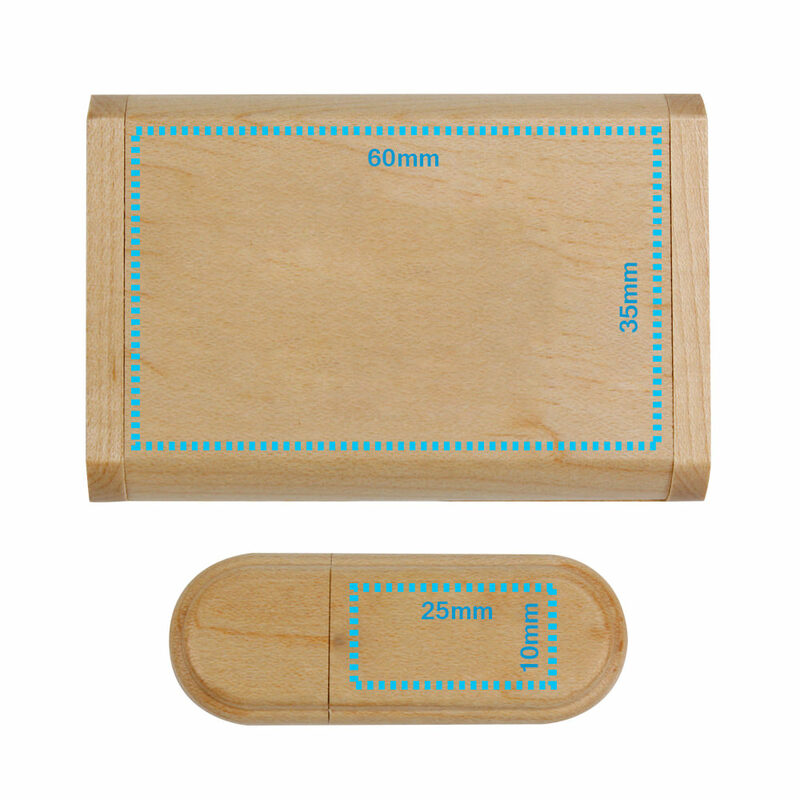 You know how they say a picture’s worth a thousand words? 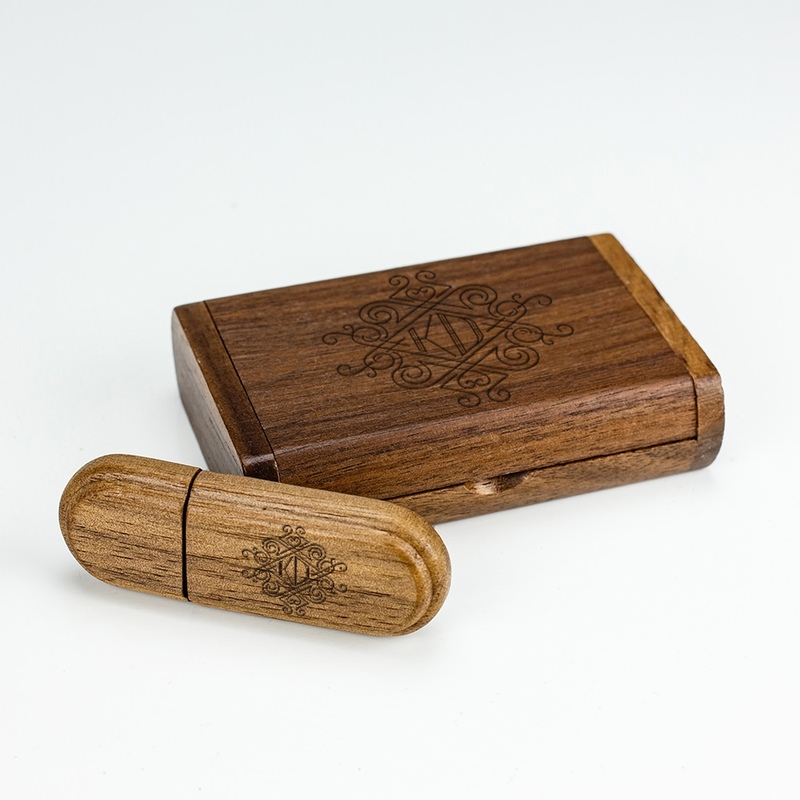 The Keepsake Wooden USB Presentation Box is worth a million! 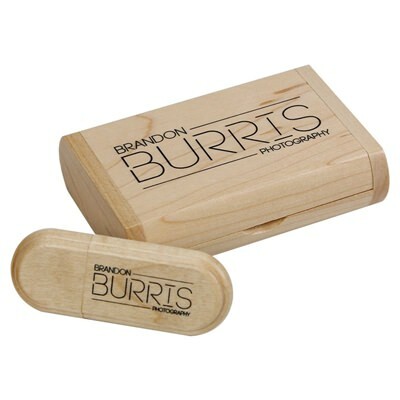 For any wedding and portrait photographer looking to make a great impression on their clients, this handsome and polished natural drive will do the trick. 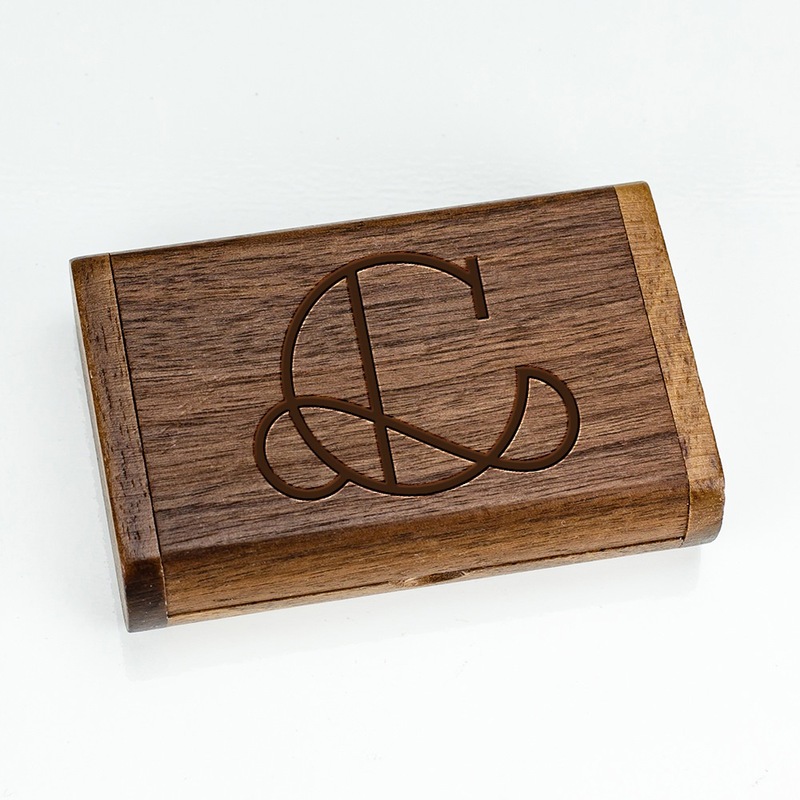 Give your couples something they’ll remember, something they can use! 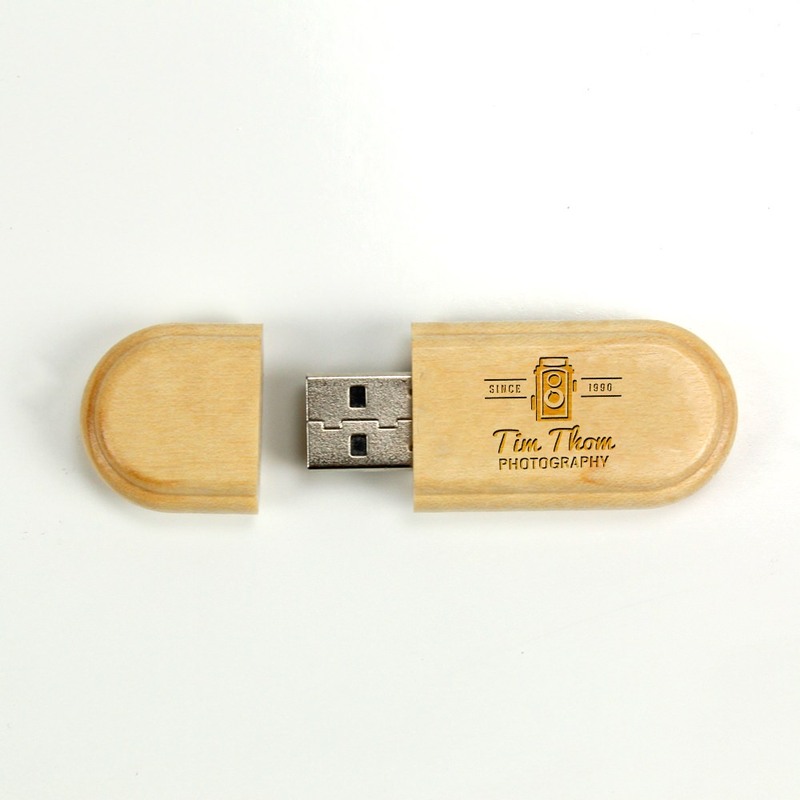 Each Wooden drive comes with large data storage capacities - perfect for storing photographs of your client's big day.